What ages of patients do you treat? Because we customize treatment plans for each individual, we have successfully treated patients ranging from five-year-olds to ninety-year-olds. We are highly sensitive to your specific needs to make each treatment session a pleasant and caring experience. Our goal is to have you feel better afterwards! For most treatment plans, treatment sessions happen once a week. In the case of more acute injuries, multiple sessions a week may be beneficial to expedite healing. After the course of treatment is completed, you may find it helpful to come in for follow-up visits for maintenance or other conditions. Since the basis for acupuncture is to maintain homeostasis inside the body, there are generally no side effects associated with treatment. Our experience is that patients usually report feeling relaxed afterwards with different degrees of symptom alleviation. For the incorporation of herbal remedies, as with any food or drug taken internally, care must be taken to follow instructions from your practitioner exactly so that combination of herbal remedies outlined for you will have the best therapeutic effect. In some cases, stomach upsetness may occur. Please report any side effects you may feel to the practitioner as soon as possible so that we can revise your treatment plan for optimal effect and comfort. Yes. If you cannot make an appointment, please call us to reschedule or cancel at least 24 hours in advance so we can better accommodate your schedule. Full payment will be expected for late cancellations or no-shows. This will depend greatly on the customize treatment plan for your needs. In general, expect one course of treatment to be around eight appointments. You may need additional courses of treatment for reinforcement, treating other conditions, as well as maintenance. We will work with your case specifically to determine what is the most optimal approach for your health and financial situation. The first consultation visit will be slightly longer as the practitioner gathers information about your overall health to plan out a treatment plan. Each acupuncture treatment session can last from 20-40 minutes, depending on your specific treatment plan. Please wear loose clothing that allow easy access to arms and legs. If the treatment area is on your back or under clothing, we will provide robes and sheets for your use while the treatment is administered. Are the needles sterile and safe? All needles are FDA approved, pre-sterilized in the package, and one-time use. We never reuse needles, and great care is taken to sterilize the treatment area before needle insertion. When administered by a licensed and trained professional, there is virtually no risk of injury or infection. In rare occasions, a slight bruise may appear. We take the utmost care in making sure we have a sterile needle entry at exact pressure points, so you can be assured of the safety of the procedure. During your first office visit, the practitioner may ask you at length about your health condition, lifestyle, and behavior. The practitioner will want to obtain a complete picture of your treatment needs and behaviors that may contribute to your condition. Please inform the acupuncturist about all treatments or medications you are taking and all medical conditions you have so as to provide a comprehensive picture during the consultation visit to better facilitate customization of your treatment plan to your specific needs. 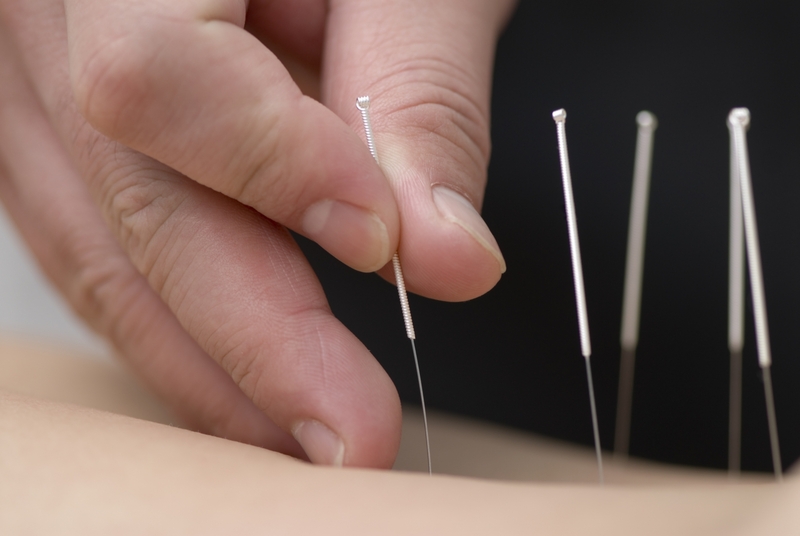 The U.S. Food and Drug Administration (FDA) approved acupuncture needles for use by licensed practitioners in 1996. The FDA requires that sterile, nontoxic needles be used and that they be labeled for single use by qualified practitioners only. In our clinic, only disposable one-time-use sterilized needles are used. Relatively few complications from the use of acupuncture have been reported to the FDA in light of the millions of people treated each year and the number of acupuncture needles used. Still, complications have resulted from inadequate sterilization of needles and from improper delivery of treatments. Practitioners should always use a new set of disposable needles taken from a sealed package for each patient and should disinfect the treatment area thoroughly before inserting needles. Acupuncture needles are metallic, solid, and hair-thin. People experience acupuncture differently, but most feel no or minimal pain as the needles are inserted. The needles are significantly thinner than hypodermic needles; as a result, for some, the needle insertion may not be felt at all, while in other cases, it may feel like a pinprick. After treatment, some people are energized by treatment, while others feel relaxed. Improper needle placement, movement of the patient, or a defect in the needle can cause soreness and pain during treatment. This is why it is important to seek treatment from a licensed and experienced acupuncture practitioner. In the past two decades, acupuncture has grown in popularity in the United States. The 2007 NHIS data indicated 6.5% of Americans had reported ever using acupuncture. Of these, 22% had seen an acupuncturist in the last 12 months, and 25% of those who had tried acupuncture had done so at least once, and 70% had seen an acupuncturist at least 5 times. The majority of those who had seen an acupuncturist had done so usually for some kind of pain, primarily arthritis and other orthopedic pain, headaches, or fibromyalgia. The study results showed growing popularity among those with chronic conditions that impact the quality of life and self sufficiency. Various studies on acupuncture utilization suggests that from about 5-25% of people in the world, regardless of nationality or ethnicity, will at some time try acupuncture. Conventional therapies are often used along with acupuncture in these cases. Acupuncture is a holistic approach that is especially effective for many chronic conditions as well as disease/surgery recovery. For a look at what we have been successful treating in the past, please click here. Please refer to this page for an in-depth discussion. Please refer to this page for a look at our specialties. Acupuncture is a Traditional Chinese Medicine (TCM) holistic therapeutic approach that is especially effective for chronic conditions such as various forms of pain, for recovery from significant surgeries or other treatment methods (e.g. cancer therapies), for hormonal conditions such as fertility concerns, menopause, menstrual cycle symptoms and regularity, etc. For a more in-depth scientific look into how acupuncture works, please click here. What is Ion Cleanse Detoxification? Ion Cleanse Detoxification is a relatively new method of homeopathic body maintenance, used mainly as a supplement to maintaining body pH levels. Through soaking the feet in a rotating alkaline solution, the body can subtly adjust its pH levels to be more optimal for combating environmental toxins and pollutants. It is a very noninvasive and relaxing procedure that has minimal side effects. However, it is not recommended for everyone, with particular exceptions including women who are pregnant or nursing and those with pacemakers. Acupuncture is a Traditional Chinese Medicine (TCM) holistic therapeutic approach that is especially effective for chronic conditions such as various forms of pain, for recovery from significant surgeries or other treatment methods (e.g. cancer therapies), for hormonal conditions such as fertility concerns, menopause, menstrual cycle symptoms and regularity, etc. For a more in-depth look into how acupuncture works, please click here.